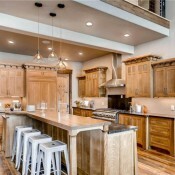 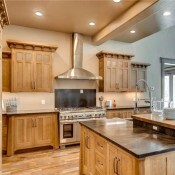 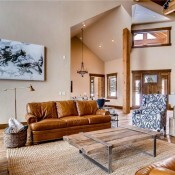 This stunning, modern, mountain home offers breathtaking views of the ten mile Rocky Mountain range and is nestled in the Swan Valley location of Breckenridge on 2 acres. 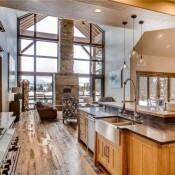 Walk into the main entrance, or from the 4-car garage, to see a large open floor plan with dramatic vaulted ceilings, gorgeous windows to showcase views, high-end hardwood flooring, top-of-the-line custom finishes, a cozy custom-built fireplace, metal and stonework, and mountain modern decor. 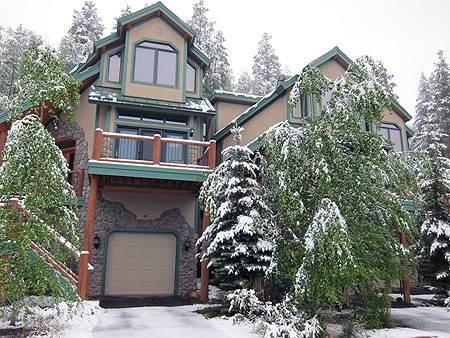 This private home vacation rental is a 4 bedroom, 3.5 bathroom, and includes a main-floor master suite and large master bathroom with walk-in shower and separate tub, laundry/mud area, heated garage, office room, loft area, 3-twin bunk bedroom, and custom bathrooms. 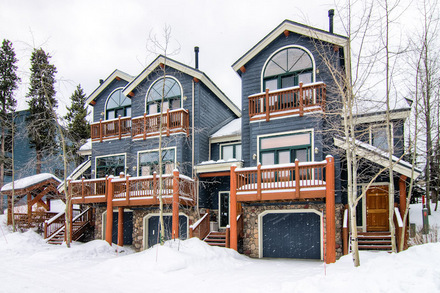 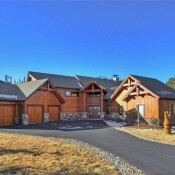 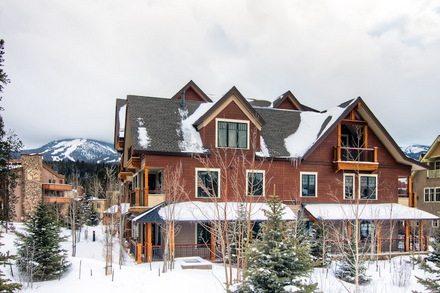 While staying in this luxury home, relax on the massive deck that faces mountain views, or on the private second bedroom balcony, or near the outdoor fire pit in the Summer, or enjoy a nice secluded getaway with friends and family for skiing in the winter. 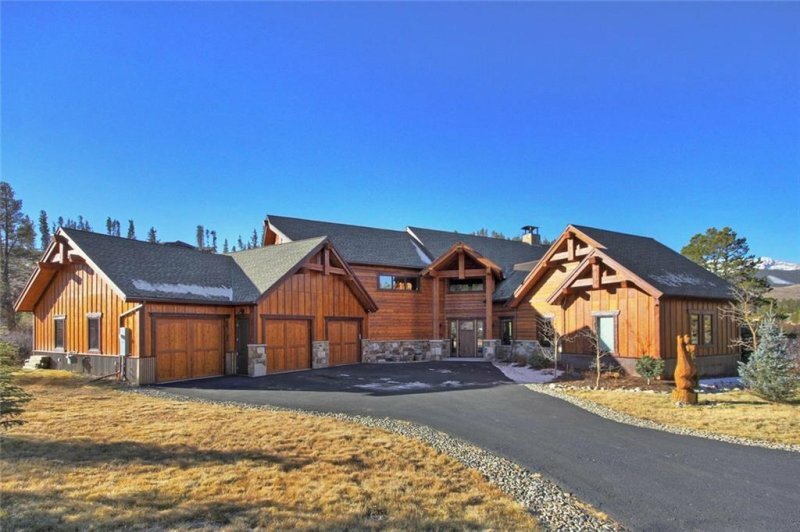 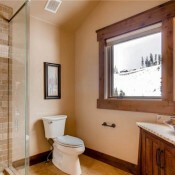 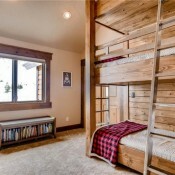 This prestigious neighborhood location offers privacy with open land to provide views, wildflowers in the Summer, and the magical mountain-side snow in the Winter.